In need of a labels for their Napa Valley wine collection, I created these two very different designs. With the Sonoma Collection, the aim was to provide the buyer with a sense of the wine’s rustic origins. Each wine features an animal native to the Golden State. The printing and toothy paper stock add to the earthy, outdoor feel. 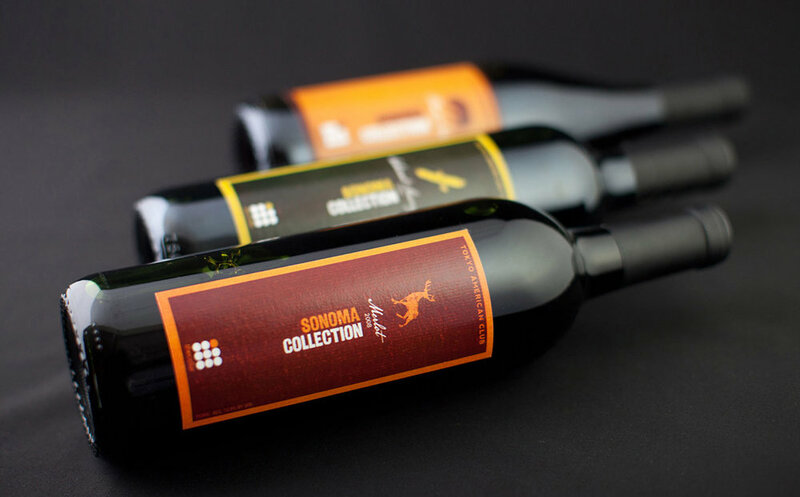 However, the design of the Cellar Premium collection turns focus on the wine’s final destination, Japan. Using the existing Cellar logo, I incorporated three Japanese cultural icons: the tengu, duruma and geisha.